Before you go out and try to shovel the snow, make sure you know the proper techniques. Dr. Craig Rubenstein of Rothman Orthopedics at Thomas Jefferson University Hospital says you're less likely to get hurt if you warm up before shoveling, and then take it easy at the start. "Tackle some easier spots, some lighter snow, don't fill up your shovel the first few times," said Rubenstein. If you can, push the snow rather than lift it. When you do shovel, don't bend from the waist - that puts the stress on your back. "You really should be trying to bend your knees and use your legs and sort of just short motions to get it out of the way instead of trying to throw it way over to the side," said Rubenstein. Rubenstein says that twisting and throwing can put a lot of wear and tear on your shoulders. "The farther your arms get away from your body, the more you use your shoulders and your rotator cuff," said Rubenstein. A cubic foot of average snow weighs 15 pounds. Wet snow weighs even more. 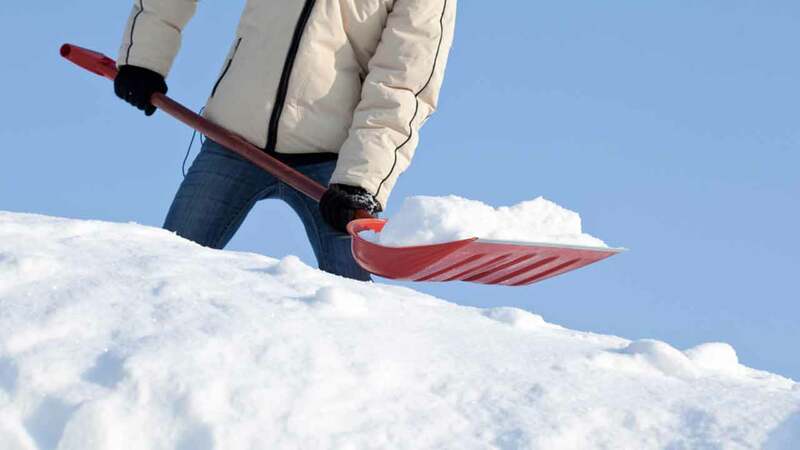 If you are over age 55 or have a chronic medical condition, have someone else do the shoveling. But at any age, be sure to listen to your body. "The key is not to overexert yourself," said Dr. Seth Podolsky, an emergency medicine specialist with the Cleveland Clinic. "If you ever feel any kind of chest discomfort, trouble breathing or general faintness, you want to stop what you're doing, take a rest, and if it continues call 911 and get seen in the nearest emergency department." Sledding and other snow activities can also lead to injuries, but check these pointers from Moss Rehab of Elkins Park, Pa. to keep winter fun.